One of the main reasons that the Jezebel spirit is able to successfully attack churches, marriages, families and any united front is because of our ignorance regarding that spirit. We have what can best be described as “standard information” and because of this, the Jezebel spirit is able to put on one of her many masks and slither into our lives time and time again. 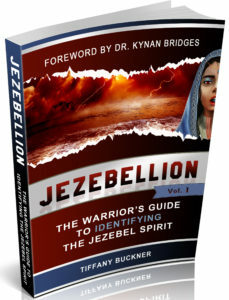 Jezebellion: The Warrior’s Guide to Identifying the Jezebel Spirit is a revelatory guide designed to help you identify and defeat the Jezebel spirit once and for all. This book is overflowing with wisdom and bursting with revelation knowledge and it will help you to understand how demons layer themselves in believers as well as how to perform self deliverance. This book will change your life! 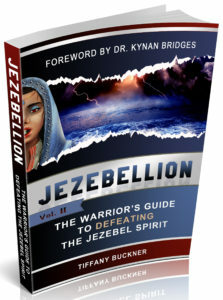 Jezebellion (Volume II): The Warrior’s Guide to Defeating the Jezebel Spirit is an informative, power-packed book that will teach you the government of the spirit realm. In this thought-provoking guide, you will learn how to use that government to cast out the spirits of Jezebel, Ahab and any other demonic spirit operating in your life. When coupled with Jezebellion (Volume I): The Warrior’s Guide to Identifying the Jezebel Spirit, this potent book will restore your confidence in the Lord and teach you to walk in the authority of Jesus Christ.